Paul Hype Page & Co tax professionals have extensive experience and knowledge in Singapore and international taxation alike. We provide a broad range of corporate taxation services to many multinational corporations. 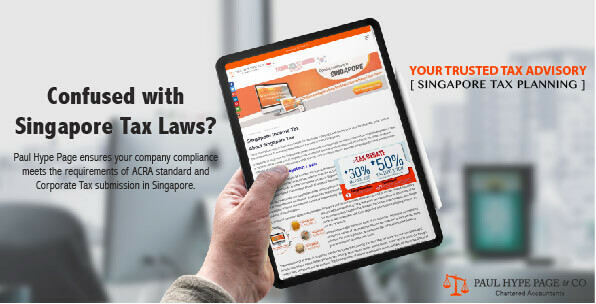 Constantly updating you with Singapore tax regulations (including budget updates) which may affect your company/branch and compliance requirements . Monitoring the statutory deadlines and working closely with your company/branch to meet the compliance filing deadlines. Preparation and filing an estimated chargeable income which has to be filed within three months from the end of the accounting year. Preparation/reviewing monthly/quarterly tax provision calculations based on your information and highlighting any tax issues identified in the course of our preparation/review of the information provided. Preparation/reviewing the tax computation and Form C based on your information and highlighting any tax issues identified in the course of our preparation/review of the information provided. Submitting the finalized tax computation and Form C to your company/branch for your signature and agreement before filing with the IRAS. Developing and structuring remuneration packages for Singapore employees, including expatriates, to enhance tax efficiency. 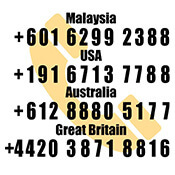 Singapore tax planning, equalization, and protection for inbound and outbound individuals. CPF contributions and compliance matters. 1) What are the common pitfalls of preparing income tax returns and income tax computations made by taxpayers? 2) What can taxpayers do to increase their level of tax compliance and minimize the number of potential queries raised by the IRAS? 3) How should taxpayers prepare beforehand if they anticipate that the IRAS would likely raise potential queries? 4) What should taxpayers do if they indeed receive queries from the IRAS? Corporate tax compliance in Singapore has become more complex under the regulatory scrutiny of the IRAS. Paul Hype Page & Co ensures both your company and your compliance meet the standards required for corporate tax submissions in Singapore.